Currently, fossil fuels such as coal, natural gas and oil, represent the main energy sources in the world for providing heat. Environmental damage, due to the use of fossil fuels, such as global warming, acid rain and smog, push the world to reduce carbon emissions and to promote the development of renewable energy resources. 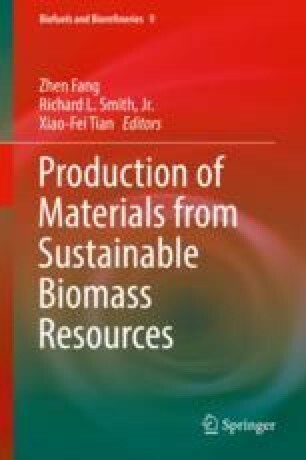 On one hand biomass is a valid renewable alternative and a carbon neutral raw material for the production of clean energy, especially heat; on the other hand biomass, used as-is, is a leading cause of early deaths in developing countries. Pelletization, which can be coupled also to thermal treatment (e.g. carbonization) of biomass, increase its energy content (per unit of weight) and leads to clean burning. The pellet fuel market is in continuous growth, so that different materials have to be used to satisfy the demand (such as: herbaceous crops, straw, olive husk etc.). The technical parameters used for pelletization appear fundamental to adapt the process to the different characteristics of the raw material. This chapter deals with the pelletization process through the analysis of raw materials, binders, and pre-treatment processes. Pelletization process parameters are also considered together with the basics of pelletization modeling both for flat die machines and ring die machines. A model is applied to the pelletization of biochar, that allows the comparison with spruce fir wood. The authors would like to thank eng. Michele Oligarchi and eng. Micro Cesca for the help during pelletizing tests and simulation running. The authors acknowledge the financial support by the Research Council of Norway and a number of industrial partners through the project BioCarb+ (“Enabling the biocarbon value chain for energy”). The authors would like to acknowledge the help of dr. Tomasz Dzik and prof. Marek Hryniewicz from AGH University of Science and Technology, Cracow, Poland. The authors would like to acknowledge the help of dr. Yu Sun from Nanjing University of Science and Technology, China. The authors would like to acknowledge the help of professor Mathias Mandø from Department of energy Aalborg University, Denmark and dr. Andreas Brinch Rosenørn and dr. Simon Klinge Nielsen from Andritz Feed and Biofuel. The authors would like to acknowledge the help of eng. Lorenzo Riva from University of Agder, Norway. The authors want also to acknowledge the help of reviewers.